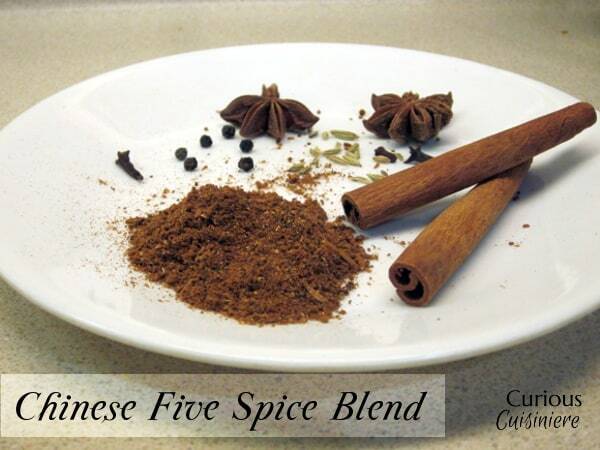 Chinese Five Spice is a robust, sweet and spicy seasoning mix that is often used in Chinese cooking. 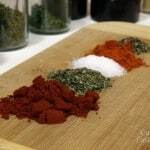 Make your own Homemade Chinese Five Spice powder for a seasoning mix that is bursting with fresh, authentic flavor! Have you ever come across a recipe, only to find it calls for Chinese Five Spice powder, which is one of the few seasoning mixes that you didn’t happen to have in your pantry? Or, maybe you’re like us, and you’ve had a bottle of Chinese 5 Spice in your pantry for years, but never really knew what it was good for. Better yet, maybe you’ve read the ingredients on a bottle of Chinese Five Spice and wondered why there are more than five ingredients listed. 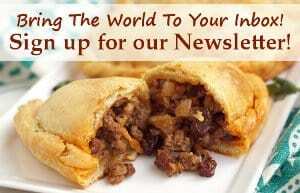 What’s In Chinese Five Spice Powder? 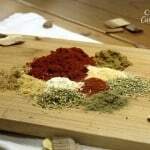 Chinese Five Spice Powder is a seasoning mix that is considered to be the perfectly balanced combination of the five key flavors in Chinese (and other Asian) cooking: sweet, sour, bitter, salty and spicy. 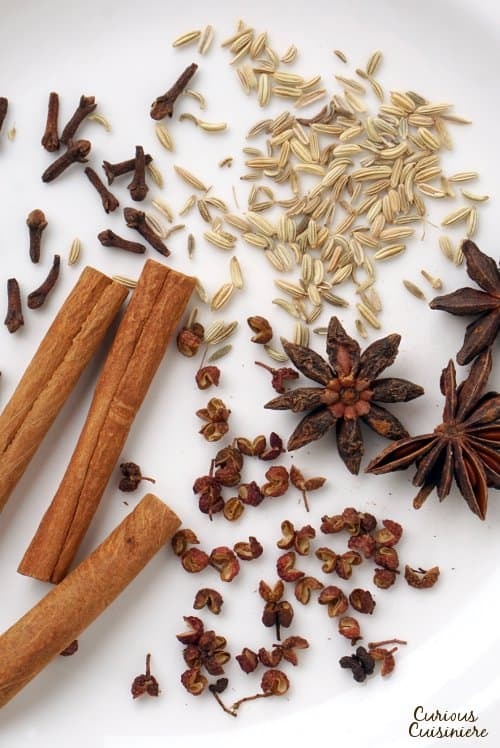 These flavors are captured by five unique ingredients that make up the blend: cinnamon, cloves, fennel, star anise, and Szechuan peppercorns. Szechuan peppercorns (or Sichuan peppercorn) are not actually a true peppercorn at all. Rather, they are the dried berry of a deciduous prickly ash tree (in the citrus family). Sichuan peppercorn have a unique aroma and flavor that is floral, slightly citrus-y, and spicy, but in a very different way than we typically think of spice in the West. When we think of pepper spicy, we tend to think of a mouth-on-fire, bring-me-some-milk kind of heat. The spiciness of Szechuan pepper is more of a numbing spice. Think about the tingling feeling if you bite into a fresh piece of ginger root. It’s not a chili heat, but many people do describe ginger as spicy. Sichuan peppercorn are spicy in a similar way. They first hit your mouth with floral and citrus notes, then they wash over your tongue with a tingly numbness that isn’t so much of a flavor as a sensation. 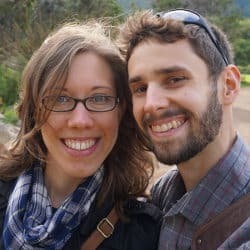 What Can I Substitute For Szechuan Peppercorns? Szechuan peppercorn are incredibly unique, bringing (as we just mentioned) more of a sensation of numbness rather than a flavor. Because of this, there really is no good substitute for Sichuan peppercorns. This is probably why many store-bought Chinese Five Spice mixes leave the Szechuan peppercorn out of their blend. Some store mixes try to make up the difference in flavor with black pepper or ginger. 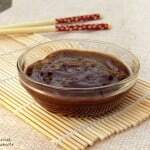 In fact, the first time we tried to make Chinese Five Spice powder we tried using black pepper. But, after we tried a real version of the mix, with Szechuan peppercorns, we realized that black pepper doesn’t come close to capturing the authentic spirit of the mix. You can typically find Szechuan peppercorns at World Market or at your local Asian grocer. If you are looking for a substitute for Szechuan peppercorn for your Chinese Five Spice powder, we would suggest just leaving it out. You will still get the general flavor of Chinese Five Spice, you just won’t get the spiciness of the peppercorn. The great thing about making your own Chinese Five Spice powder is that the flavor is far more fresh than anything you will find in jars. This is because we start with whole spices for our Chinese Five Spice recipe. The whole spices stay much more fresh, and release the fullness of their flavor when they are ground. To grind the whole cinnamon, star anise, cloves, fennel, and Szechuan peppercorns, we use a small spice grinder, but a coffee grinder (that you use specifically for spices, so you don’t get any residual coffee flavor) would work well too. 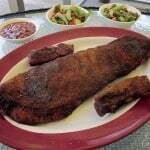 What Can I Substitute For Chinese 5 Spice Powder? 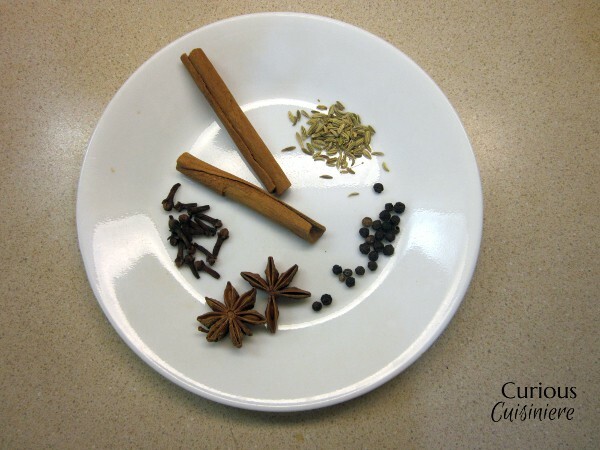 Three of the five spices in the Five Spice powder are pretty common pantry spices: cinnamon, cloves, and anise. 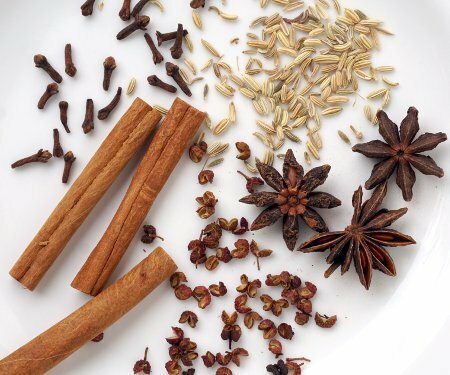 If you don’t have these spices in their whole version, you’re in luck, because we’ve included ground measures in our Chinese Five Spice recipe below. If you don’t have fennel and Szechuan peppercorns, we’d suggest leaving them out of the mix, and adding 1/2 tsp of ginger to the mix to round out the flavors. 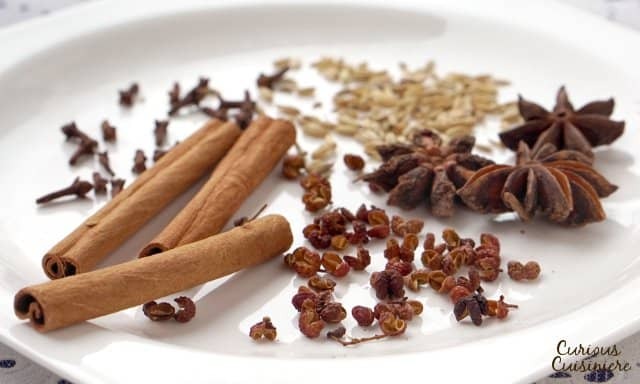 The warm and slightly spicy flavors of Chinese Five Spice make a great addition to a number of dishes! 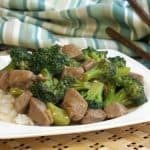 Our easy Chinese Five Spice Powder recipe brings these robust Asian flavors together in one incredibly flavorful mix. We find that 1 Tbsp of Chinese Five Spice powder is perfect for seasoning 4 lbs of meat. This recipe from 2014 was updated in 2018. 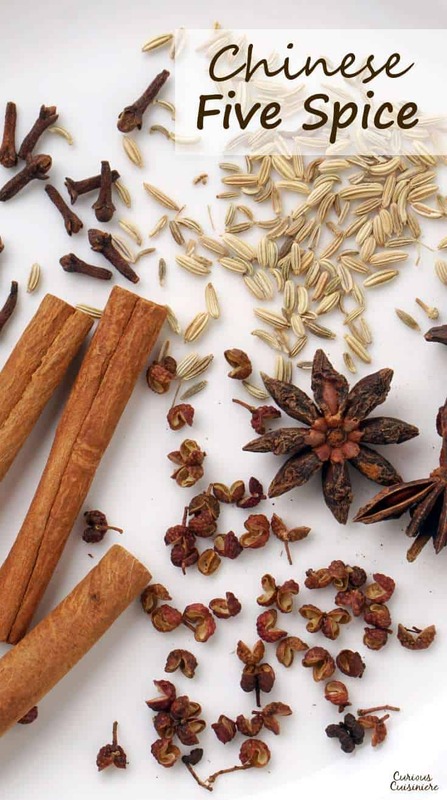 We made our Chinese 5 Spice Powder more true to the authentic flavors. Enjoy! It sounds wonderful. My sister is allergic to cloves. Is there a substitution I can use? Hi Holly. I would suggest trying allspice in place of the cloves. Thank you so much! I can’t wait to try this. I would use extra fennel if you can’t fine star anise. I found a love for five spice while traveling in Vietnam. I recently got a recipe for char sui pork which uses five spice amongst other things and the end result is fantastic. Almost as gd as a Chinese street food vendor. Thanks for the recipe now I can add my own 5 spice to the mix. Yum! That sounds delicious! Enjoy! 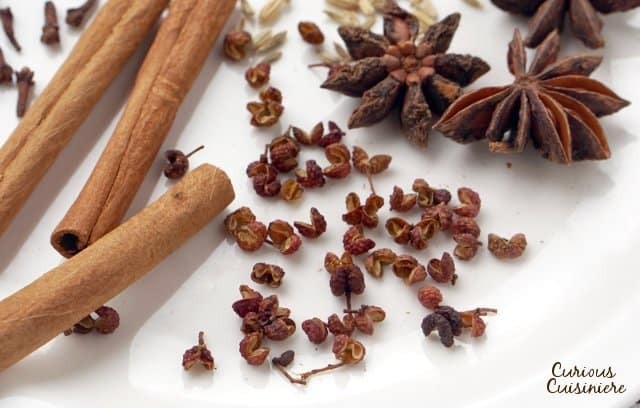 I love to use Chinese 5 spice in place of cinnamon in my recipes…like cinnamon rolls or cinnamon french toast. I have even used it in my spiced grand cru cherry pie. But I have always used the Morton & Bassett store-bought version. No szechuan, but does have ginger. I want to make my own!!! Thanks for this! 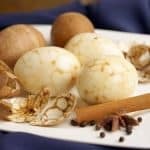 What wonderful ideas for using Chinese 5 Spice! We are going to have to try using it in cinnamon rolls and in our next cherry pie! We hope you enjoy the mix! I have a question, when you say “1/2 tsp of ginger” it’s for how many servings ? Hi Camilo. A 1/2 tsp of ginger would be used to replace the 1 Tbsp Szechuan peppercorns in the recipe (so 4 servings). You can always add a little more ginger if you want more of the sweet/spicy ginger punch to your mix. Enjoy! 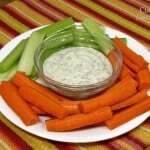 Try this recipe and see how you like it!!! I had the opposite problem, sort of. I have an entire jar of Chinese Five Spice, but wasn’t sure how to use it. Your last paragraph gave me some good ideas though. I especially like the spiced nuts and spiced up ginger cookie idea! Awesome! We hope to be trying some new things with it, now that we have some ideas ourselves! You can make five spice chicken with it if you like like you can use the spice to marinate some boneless thighs some soy sauce, canola oil, garlic, cumin, coriander if you like with it, red peppercorns and let sit in marinade overnight and grill the next day and see how you like it. That sounds very tasty! 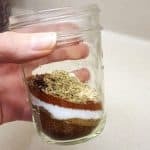 What a great way to use the five spice powder!